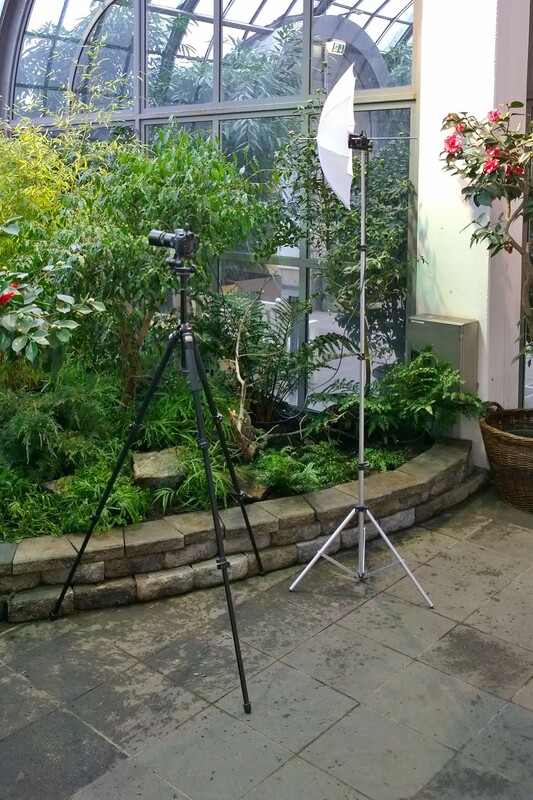 The camera sits on a massive tripod and drives, via a cable, an external flash which shoots through a white umbrella for better spreading of the flash light. With that gear in place I took my first couple of pictures with the new lens (F2.8, 100 mm macro), I was rather happy with the results. All pictures are of “Camellia” flowers.